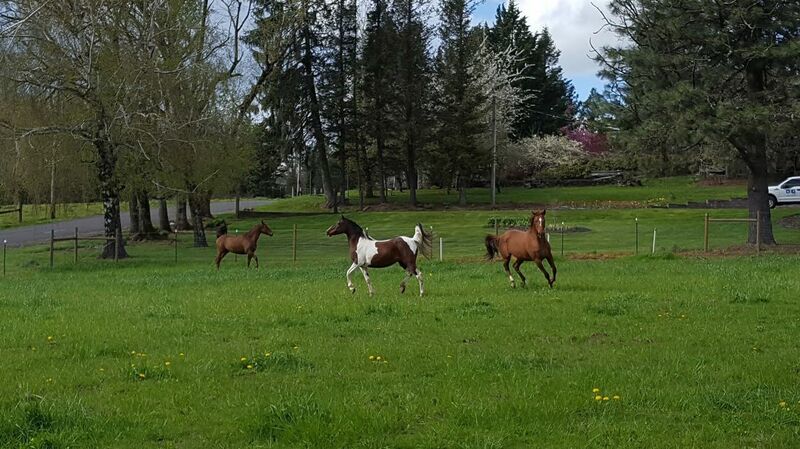 SEO is an essential horse rescue and rehabilitation in Oregon. It is one of the few organizations that partners with local law enforecment to prevent further animal abuse. Success cannot be measured in the achievements made everyday. Most of the time it is measured in merely showing up and contributing to the tasks that help the overall well-being of the horses: mucking stalls and exposing the horses to humans. When we can measure success it comes in the forms of adoption. Being able to rehabilitate a horse is a lot of work. Fundraisers are essential to being able to maintain health care. Often, in addition to being starved, horses often have additional medical problems that need to be taken care of. One of the fundraisers that I got to volunteer for was an Adult Riding Clinic. 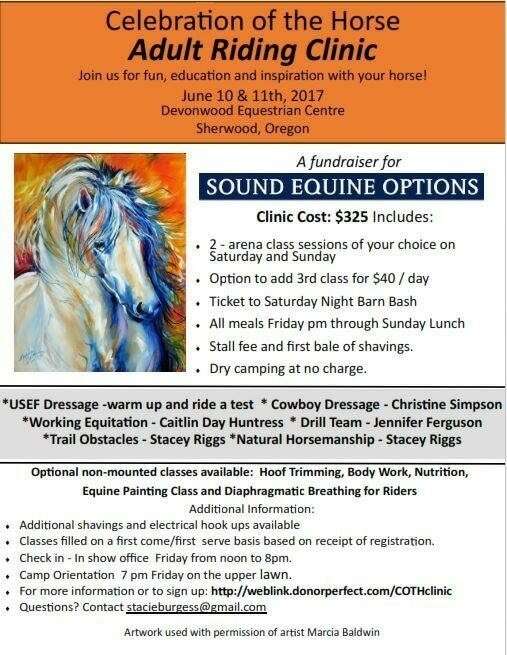 This event is so amazing because, not only is SEO raising money to help horses, but it is also an amazing opportunity to help other equestrians strengthen their knowledge. For this event, I helped with set up. Friday I moved over 200lbs of horse bedding for the horses that would be attending the event. Despite the heavy work, it was a nice break from typical volunteer duties; as you will see below. The songs that are playing in my videos are not my own.